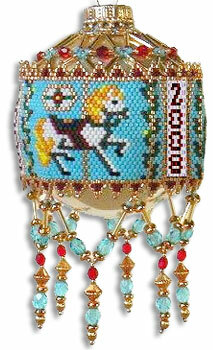 Part two continued from last issue (Issue 18) introduces two new horse designs. The entire ornament only uses three panels so mix or match as you desire. Use even-count peyote for the band and add brick stitch points.